We invite you to dive in Vaavu Atoll Maldives - with sharks, rays, turtles,macro life and many more! Blue Horizon is a PADI Dive resort which offers you unforgettable diving experience all around Vaavu Atoll (for experienced, certified divers), where you will find different types of reef sharks, eagle rays, stingrays, turtles and many many more! For the beginners PADI courses are offered (Discover Scuba Diving, Bubblemaker, Open Water Diver). If you want to continue your diving education you are welcome to join the PADI courses up to Divemaster! Children from 8 years old can participate in Bubblemaker program, it is Fun! Location Blue Horizon diving center is located on a beautiful Thinadhoo island, Vaavu Atoll, Maldives; surrounded by turquoise waters, sandbanks, uninhabited islands - the real Maldivian culture awaits you! 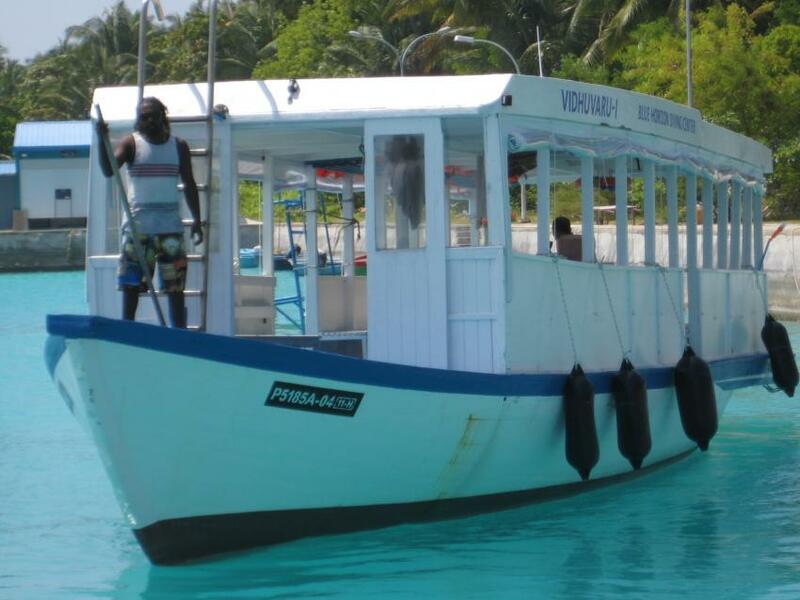 Read before you go It is advisable to be an Advanced Open Water diver to enjoy thrilling dives in the channels of Vaavu Atoll. province ferry - about 5 hrs.